Habitations found itself in the news once again this summer when one of its custom home designs was featured in the August issue of the new local magazine, UtahStyle. The Victorian-style home, located in Huntsville, Utah, is owned by Brian and Jana Watts, who, from the start, wanted every detail of their home to have the authentic look of a home built in the late 1800’s. The Habitations team was up to the challenge, designing a home perfect for the era, complete with ornate trim, beautiful Gothic windows and a full wrap-around porch. The result: it is nearly impossible to tell that the home is a new build and not a well-preserved original Victorian structure. This latest accomplishment is further proof that Habitations is expert at home design in any style. From traditional to modern, cottage to craftsman, the Habitations team has the experience and knowledge to create a home for even the most discerning customer. 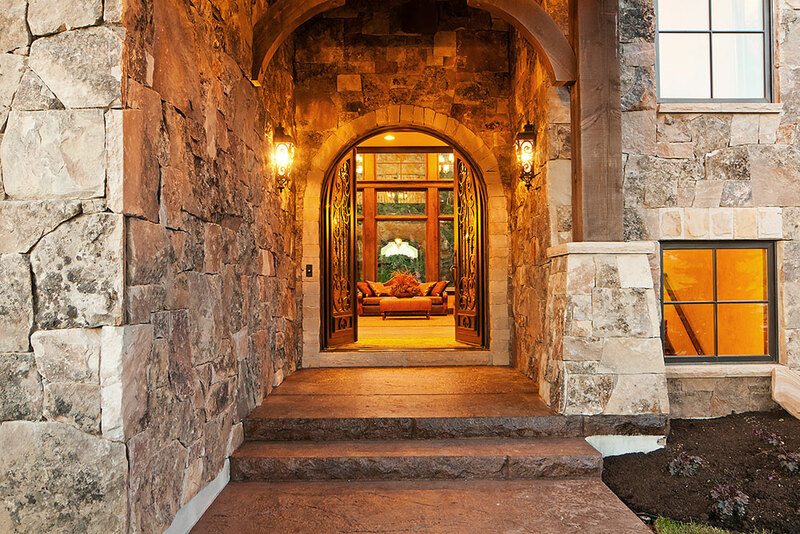 One of our Home Designs was published in the Summer 2011 UtahStyle magazine. Check it out on pages 70-77. We hope everyone was able to stop by and walk through home #22. This home was absolutely stunning! Bryce Stevenson and his crew from Stevenson Homes did an amazing job building this home that Habitations Home Plans designed for one of our clients. During the Parade of Homes, 2 News did a spotlight on this home. You can see the video HERE. Hey, Habitations has a new hire. Here is a little about Stuart. A Graduate from Brigham Young University – Idaho with a Bachelor’s of Arts in Interior Design in 2010, Stuart brings a new skill set to the Habitations Team. He is currently a member of ASID (American Society of Interior Designers) and has won awards within the association. He has knowledge in kitchen and bath design, residential design and drafting, architectural rendering, interior space planning, lighting, construction, and materials/finishes selection. Previously an intern with Habitations Home Plans, Stuart demonstrated his creativity through conceptual home design and worked with the habitations team to help serve our clients. Stuart has a strong passion for design and is a strong asset to our company as we move forward in this market. He is eager to introduce new services to our firm including: Interior space planning, lighting design, and interior design color and style consultations. We feel this will help our clients receive a more cohesive design and a better end result. Stuart is a firm believer that Design, whether good or bad, has a profound influence on our lives. Please join us in welcoming Stuart as he begins his career with our team at Habitations Home Plans. When you’re talking about experience in terms of architectural design and custom home planning, what are people really talking about? There’s all kinds of experience, some valuable and some unimportant and not any help at all. Here are a few examples. Then you have the unhelpful experience of having 15 or so years behind a computer screen and great knowledge of the computer program and you can sure draw fast but how effective and accurate are those drawings, do they perform their job of communicating the clients’ wishes to all parties involved during construction? At Habitations, a big horn we toot is our experience. We have assembled a great team with experience in all areas we believe are valuable when dealing with the design and construction of a new home. Custom Framing Experience in our final designs, not just small home framing but experience with large custom homes. Our Production Manager who leads our final design team has over 10 years of experience framing large custom homes. This knowledge is transferred through to our construction drawings insuring buildability, clarity and efficiency. Site Planning (see one of our YouTube videos) the home is only half of the equation. We have years of experience working with surveyors, excavators and landscape architects to determine the best placement for the home, gps mapping views out of the home and working out ways to reduce excavation and retaining costs while maximizing the attributes of the lot which the client wants to capitalize. Excavation costs and retaining are not small costs when building a new home and they can add up quickly. It’s amazing how far a whole load of retaining rock doesn’t go. Homes that are not designed with the site in mind up front can easily cost 20k more in excavation and retaining on the low end. Material selection: You’ll see this comment a lot from Habitations “Our goal isn’t to sell plans. Sure we would love to sell you plans and we want you to love your plans but our goal IS that you are tickled pink with the final product, not the plans…the house” We therefore spend a lot of time and energy researching and staying up on the latest and greatest materials available for construction. Whether it’s green, lower maintenance, new technology, more energy efficient, etc. we are constantly working to collect information on it and help you make decisions with that information for your new home. Creative experience: How do you find the perfect blend of creativity with efficiency in the design, a great looking home that has a lot of character but doesn’t cost a zillion dollars to get the character? Honestly, Habitations Home Plans is the perfect blend. We’ve been drawing plans and studying styles for a long time. Check out our Plans on the Board Page. Right up front, with conceptual design, we are thinking both creatively and structurally, making the home look great but keeping the structure manageable so the home can actually be built under the client’s budget. Lastly, “There it is!” Have you ever been driving around and then come across a home that just looks perfect, everything about them has been done just right, it has good balance, material placement, it just all works together and looks great, if you have, you’ve probably seen a Habitations Home Plans home. These homes don’t just happen, they don’t just fall out of the sky. It takes experience and a great design team with great service. With all of these items I have listed above, it all comes together as the final product. Miss or subtract one of these vital ingredients of experience and you end up with one of those homes that looks like a lot of money went into it and you know the client had good intentions but something just isn’t right, and in many cases it’s more than just something…it’s a lot of things. I’m clueless and want to build a nice custom home, where do I start? This information should be very helpful as this process seems very overwhelming up front; builders, contracts, costs, plans, construction loans, long term mortgage, lots, etc. We’ll break this down for you into bite sized pieces and try to make it a bit more manageable. If you’re looking at custom home plans or talking to builders, looking at lots, etc. and you have questions, ask us, we’ll answer them and help you navigate the road to your new custom home. Our goal as an architectural firm with the knowledge we have gained over the years is to help you get the most bang for your buck and most importantly that you love your home when it’s all done and for years to come. We’ll begin posting tips and look forward to your questions. Home Builders Need To Focus On Cutting-Edge Design Rather Than Elaborate Amenities, Says Orren Pickell. “When stocks, bonds and commodities are not delivering, what design trends are worth the cost for your clients? When the market is down, homeowners investing in real-estate will trend toward quality. 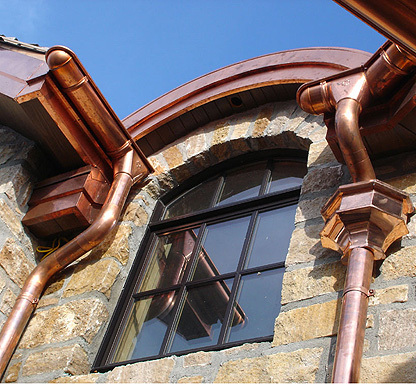 Smart custom builders will maximize tighter budgets by offering great design. The era in which builders might replicate the structure of a house from previous years, packing it full of amenities, has passed. But if you aren’t on the cutting edge of design, your business risks becoming a commodity and sales come down to a price war. Many custom builders don’t have the resources to employ architects or designers full time, but great design affects your reputation and your bottom line. That means you may need to contract with larger or freelance firms for certain projects. Orren Pickell is president and chief executive officer of Orren Pickell Designers & Builders in Lincolnshire, Ill. Over the past 33 years, Pickell has established the company as one of the leading custom-home design/build firms in the Chicago area, winning more than 170 awards for excellence in design, construction and innovation. At Habitations we have spent a great deal of time working with builders and developers to create the perfect set of small home designs. The goal: keep the design simple (which keeps construction costs low) and give it that bang-for-the-buck feel. These features help accommodate potential clients who want a great looking home with nice room sizes, all while keeping within the budget constraints of the average family income. In these economic times, many builders have seen the benefits of building smaller homes that are within the purchasing power of the average income. As a result, the competition has increased in these budget home markets. Below are a couple of secrets we have learned which, if used properly, can really make your product stand out. Using these tips, you can give clients the look and feel of a more expensive home while still remaining price competitive. 1. Function and flow: Many small designs try to fit too many rooms into too little space. A small home that tries to incorporate everything ends up creating tiny, ineffective living areas. Instead, design with simplicity in mind–the rooms with the greatest draw should be the largest. Eliminate the formal living room and expand the gathering space (Kitchen, Nook, and Great Room). Consider removing the powder room and creating a nicer laundry. Remember: it’s not a large home—two restrooms should be enough to keep emergencies at bay! It’s been taboo until now however, removing the tub in the Master Bathroom shouldn’t be out of the question. Over half of our clients, even on high end homes have seriously discussed removing the tub from the Master Bathroom. The minimal usage the master tub gets in most cases is not worth the space or the cost. Larger showers are where the trend is going. 2. Think outside the box: Give the outside of “the box” a unique character and feel. Even though it is a small home, don’t forget that it is still a home someone will purchase, live in and look at day after day. That buyer wants to take pride in the home because it reflects who they are and, no matter how small it is, they want it to have personality and character. Even a home with the simplest structural design can be unique. Instead of making a box-shaped home look like a box, think about aspects like window size and positioning, exterior materials & placement, a framed pop out to create a window seat, and even low cost decorative items such as corbels, a small cupola, etc. These inexpensive details could easily make your home #1 on the list of the potential buyer. 3. Add natural light: If you are searching for ways to make the smaller home feel larger, don’t forget the importance of natural light. Natural light has the ability to mentally expand spaces helping them feel less cramped and more inviting. Don’t go overboard and completely eliminate wall space or add unnecessary skylights. If well thought out, the design will provide that special balance of wall space and windows to give the potential client a breath of fresh air as they walk through. 4. Don’t forget the out of doors: No matter how large or small the project is, most of our clients ask us for ways to help them take advantage of the rest of their property and give them some outdoor living options. Yes, covered decks and patios can get expensive and in many cases cost as much as finished sq. footage, and therefore are not typically feasible with budgets on smaller homes. However, some worthwhile upfront planning can insure that mere access from the home is provided to areas on the property which can become future outdoor living areas i.e., sun decks patios, lawn areas. The home is only half of the equation; the rest of the property is the other half. Making sure both home and landscape (future or not) work together will always equal more than the sum of its parts in the eyes of potential clients.